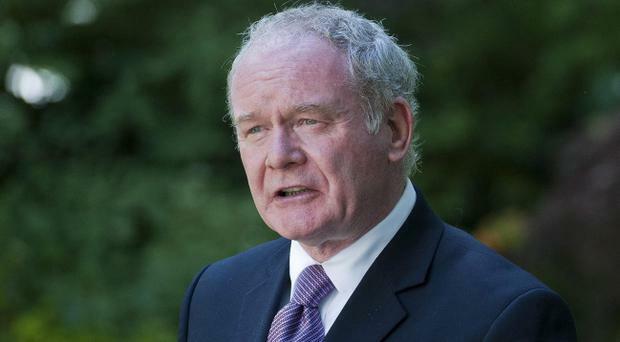 Taxpayers' money could be used to help fund a new mosque for the Muslim community in Belfast, Martin McGuinness has told the Assembly. The Deputy First Minister was responding to what Alliance MLA Kieran McCarthy called the "disgraceful diatribe of venom" from Pastor James McConnell, who described Islam as Satanic. Mr McConnell's anti-Islam sermon in Belfast's Whitewell Tabernacle caused a storm of controversy. The evangelical preacher was backed by Peter Robinson, although both men later apologised. Mr McGuinness told MLAs yesterday he hoped a site for a new mosque could be found. And he admitted a Racial Equality Strategy for Northern Ireland, which his office has been updating, is "long overdue". Mr McGuinness said he and First Minister Mr Robinson, who visited the Islamic Centre in south Belfast separately last week, have "absolutely accepted" that the 4,000-strong Muslim community "is entitled to a mosque, if a proper site can be found which is suitable for them". Asked by Ulster Unionist MLA Robin Swann whether material or financial support was being offered, Mr McGuinness said: "The First Minister is on the public record as saying that he believes that it would be appropriate, and I agree with him that, if necessary, public funds could be used to provide assistance with regard to the construction of a mosque in Belfast." Mr McGuinness called the events of the past couple of weeks "shameful" and said the comments of Pastor McConnell were "very unfortunate". "This will impact, if not handled correctly by us, on our prospects of attracting foreign direct investment. The story travelled all round the world, and I think that it was very damaging," he added.